CIT (Central), Kanpur vs. Sahara India Savings & Investment Corpn. Ltd.
Sibghat Ullah Khan And Dr. Satish Chandra, JJ. Dr. Satish Chandra, J. – Present appeal has been filed by the department under Section 260 A of the Income Tax Act, against the judgment and order dated 15.04.2004 passed by the Income Tax Appellate Tribunal, Lucknow in I.T.A.No.1291/Alld/1995, for the assessment year 1990-91. (a) Whether the Income Tax Appellate Tribunal has erred in law in directing the assessing officer to allow the deduction under sec. 80M on the dividend income of Rs. 62,10,000/- on units of UTI which was not originally claimed in the return of income but was claimed subsequently through application under sec.154 for the first time after the completion of the assessment. (b) Whether the Income Tax Appellate Tribunal has erred in law in directing to allow deduction under sec.80M without considering the provisions of Section 80A(2) of the I.T. Act, 1961 which provide that the maximum limit of deduction under the Chapter VI-A shall not, in any case, exceed the gross total income. 3. The brief facts of the case are that the assessee company has claimed the deduction under Section 80M for Rs. 8,39,174/- by filing its income tax return. On 26.03.1993, the assessment was completed under Section 143(3) of the Act, and a claim under Section 80M was disallowed. 4. On 14.05.1993, the assessee has filed an application under Section 154 of the Act, seeking rectification of mistake apparent on the face of record. In the said application, it was mentioned that the assessee has received dividend from Unit Trust of India and the same is allowable deduction. So, the assessee has claimed a sum of Rs. 48,18,960/- under Section 80M of the Act. Vide order dated 31.03.1994, the A.O. has allowed a deduction under Section 80M to the extent of Rs. 8,39,174/- only. The same was upheld by the first appellate authority. Being aggrieved, the assessee has filed an appeal before the Tribunal, who vide impugned order has allowed the claim of the assessee. In the application under Section 154 of the Act, the assessee has restricted its claim to Rs. 25,07,554/- i.e. equal to gross income. Thus, in the present appeal, the amount is involved Rs. 25,07,554-Rs. 8,39,174=Rs. 16,68,380. Being aggrieved, the department has filed the present appeal. 8. Lastly, learned counsel for the assessee justified impugned order. 9. We have heard both the parties and gone through the material available on record. “80M. Deduction in respect of certain inter-corporate dividends-(1) Where the gross total income of a domestic company, in any previous year, includes any income by way of dividends from another domestic company, there shall, in accordance with and subject to the provisions of this section, be allowed, in computing the total income of such domestic company, a deduction of an amount equal to so much of the amount of income by way of dividends from another domestic company as does not exceed the amount of dividend distributed by the first-mentioned domestic company on or before the due date. 11. In the instant case, it appears that the assessee has received dividend income from United Trust of India and made a claim that a sum of Rs. 8,39,174/- may be allowed, as appears from the original return. But, the AO has rejected the claim. However, AO, while passing order under Section 154 of the Act, has allowed the same. Thus, the claim is allowable. The assessee has restricted his claim not exceeding gross income at Rs. 25,07,554/-, but the AO has allowed only the claim made in the original return, while passing the order under section 154 of the Act. Thus, it appears that the claim of the assessee under Section 80M is allowable. It was for the AO either to reject the entire claim or allowed the claim, but it was allowed partly. 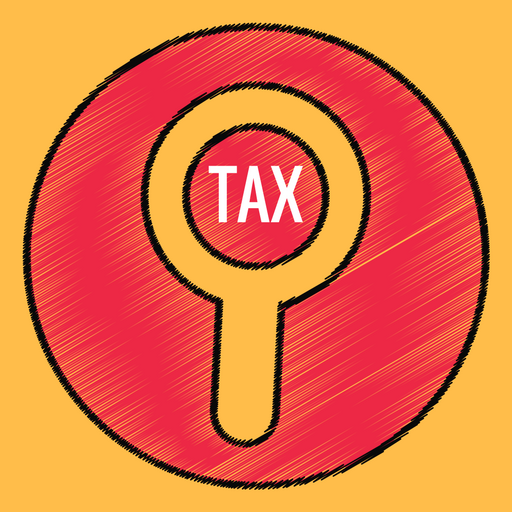 In the rectification application, the assessee has asked to restrict deduction as per law. 12. We are not in agreement with the submission made by the learned counsel for the Department that under Section 154 of the Act, the claim is not allowable, for the reason that the AO has already allowed some claim under Section 80M of the Act. The A.O. might have not allowed the friction of the claim. When the claim is allowable then why it should not be allowed as per law. Genuineness of the claim is not doubtful. Therefore, the restricted claim under Section 80M of the Act is allowable as the same is not new one for Rs. 25,07,554/- i.e. not to exceed the gross income. Out of which, the AO has already allowed a sum of Rs. 8,39,174/-. Hence, the balance of Rs. 16,68,380/- will have to be allowed as per law. 13. With the above observation, we find no reason to interfere with the impugned order passed by the Tribunal. The same is hereby sustained along with reasons mentioned therein. 14. The answer to the substantial questions of law is in favour of the assessee and against the revenue. 15. In the result, the appeal filed by the Department is hereby dismissed. This entry was posted in Section 154 and tagged 357 ITR, Allahabad High Court, deduction u/s 80M, In favour of Assessee.